It didn’t come easy, but No. 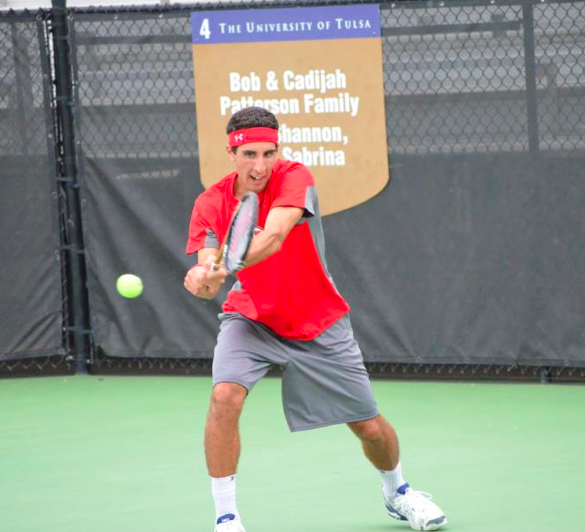 84 ranked Slim Hamza won his first round of the qualifying at the 2013 All-American Championships in Tulsa, Oklahoma: 6-3, 6-7, 6-4. The junior started off strong winning the first and was up a break in the second set until Alejandro Espejo (Tulsa), playing a home match, fought his way back, eventually winning the second set in a tiebreaker. In the third set, Espejo kept the momentum on his side breaking Hamza early in the set and seemed to be cruising to the victory. But now it was Hamza who fought his way back, and ended up running away with the victory in the third set, 6-4. In the second round of the qualifying, Hamza will face Gordon Watson (Florida), who overcame Sem Verbeek (Pacific) in a three set thriller 6-7(4), 7-6(3), 7-6(3). The third round of the qualifying is also scheduled for Tuesday. In doubles play Hamza and Cedric Willems received a bye in the first round and will face Julien Lenz/Tony Lipieri (Baylor) in the second round. That match is scheduled for 10am (9am Mountain Time). This entry was posted in Schedule/Results and tagged All-American Championships, Cedric Willems, ITA tennis, Slim Hamza, University of Utah, Utah Utes. Bookmark the permalink.